As early as in the 17th century, trail mix was one of the most popular snacks in Germany. While originally the mix only contained almonds and raisins, today we find a colourful variety of tasty nuts and types of dried fruits. 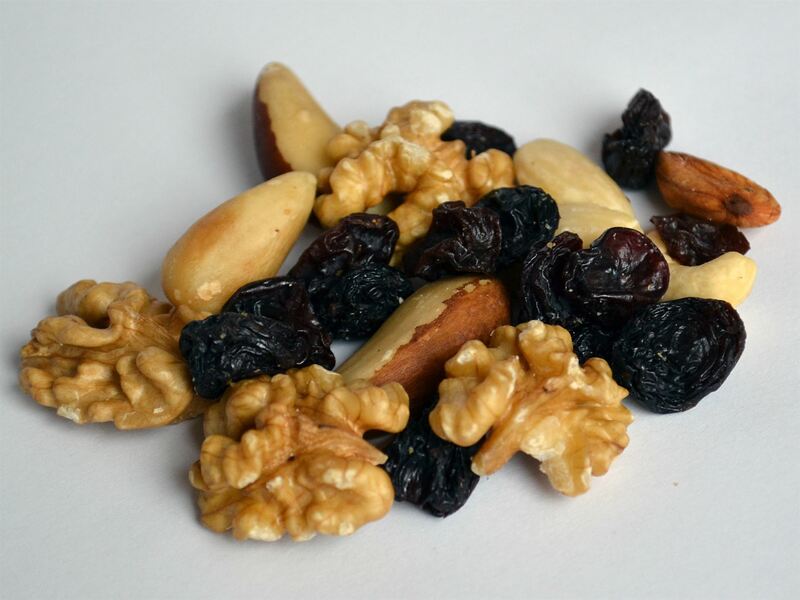 We could not imagine a trail mix without cashew nuts, para nuts, walnuts and raisins. The high-quality nuts supply you quickly with energy, the contain valuable unsaturated fatty acids, important mineral nutrients and many vitamins, especially A, E and the vitamins of the B-group. Trail mix provides energy, enhances concentration and satisfies the minor hunger pangs.